We believe that movement is fundamental to life, and that dance provides an opportunity to develop rhythm, strength, coordination, flexibility, and fluidity of motion while building character and self-esteem. At DePass Studio we seek to provide excellence in dance training for the pre-schooler through the adult, and the beginning to advanced student, whether or not the student intends to become a professional dancer. This instruction is achieved through individual and group instruction where students are trained in proper dance technique, are inspired to be creative, and learn to be their best. Since its founding in 1981, the DePass School has been committed to providing the highest quality education for all students. Our highly professional staff focuses on excellence in training in a supportive, student-oriented environment. Students of all ages and levels are welcome, whether they dance strictly for recreation or aspire to a career in dance. Many students from DePass School have been awarded scholarships for further study and attended such prestigious institutions as the School of American Ballet, American Ballet Theatre, The Julliard School, Ballet Magnificat, The Joffrey Ballet, Austin Ballet, North Carolina School of the Arts, New School of the Arts, and Boston Ballet. Others have succeeded in a wide variety of dance-oriented careers ranging from dancing with prominent companies like the Chicago Ballet and the Paris Opera Ballet to becoming choreographers and teachers, scenic and costume designers, and editors of publications such as Dance Magazine. Alice DePass has studied at the Atlanta School of Ballet, the Harkness House for Ballet Arts, the Joffrey Ballet School, and The Dance Centre of London. She has studied under such eminent professionals as David Howard, Marjorie Mussman, Dorothy Alexander, and Maggie Black. A former member of Ballet South, Ms. DePass has danced in Europe as well as in the U.S.
Before returning to Georgia, Ms. DePass taught Dance at secondary schools and universities throughout the mid-South. From 1992 - 1998 she maintained a professional relationship with the New York City Ballet as a teaching artist, liaison, and developer of curriculum for the "Storytelling Through Dance" program. 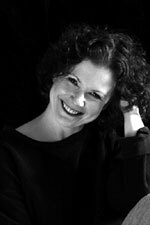 She served as a judge for the Georgia Governor's Honors Program in Dance from 1989 through 2000. The dance faculty of DePass Studio is equally talented, exhibiting an exciting diversity of backgrounds and skill level to our students. We hand select each of our dance instructors for their experience and expertise, and employ only professional teachers and staff who understand how to lead each student to achieve his or her personal best as dancers. Our staff is trained in general and specialized class instruction and participate in continuing education to provide the best instruction to our students. Additionally, Alice DePass trains less-experienced instructors to teach at the DePass Studio. Many students of the DePass Studio have gone on to study at prestigious institutions like the School of American Ballet, American Ballet Theatre, The Julliard School, Ballet Magnificat, Alvin Ailey, Merce Cunningham, Ballet West, Ballet Hispanica, and The Joffrey Ballet. Others have gone on to perform with renowned professional companies like the Paris Opera Ballet, Royal Winnipeg Ballet, the Chicago Ballet and Alvin Ailey, performed on Broadway, or have opted to become choreographers and teachers or work in another facet of the dance arts. Still others have become parents, doctors, writers, lawyers, accountants, coaches, and professionals in many other fields.